Product prices and availability are accurate as of 2019-04-22 02:21:59 BST and are subject to change. Any price and availability information displayed on http://www.amazon.com/ at the time of purchase will apply to the purchase of this product. Enjoy fresh, filtered water and ice from your refrigerator. 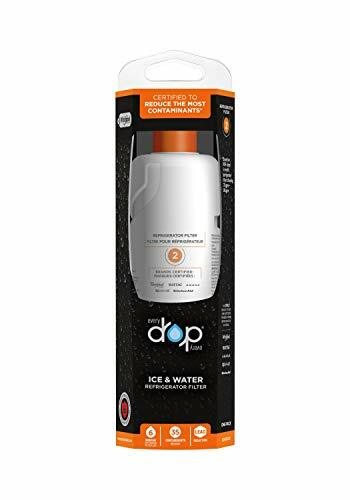 Filter 2 from EveryDrop by Whirlpool Water Ice and Water is certified by NSF to reduce 24 contaminants - including pharmaceuticals, pesticides, waterborne parasites, lead, asbestos, and industrial chemicals in addition to providing great tasting water by reducing the presence of chlorine. Each filter provides 200 Gal. 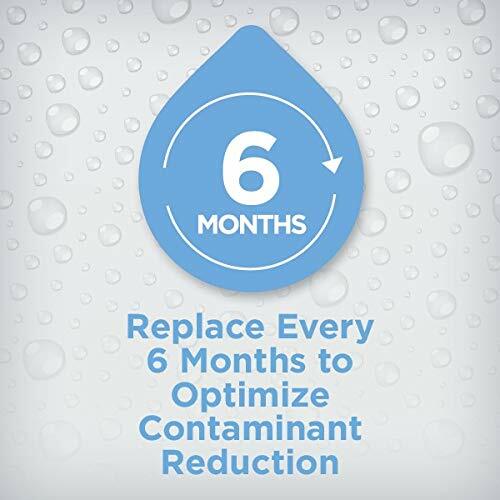 of filtered water and should be changed every 6 months to ensure proper contaminant removal and flow rate. 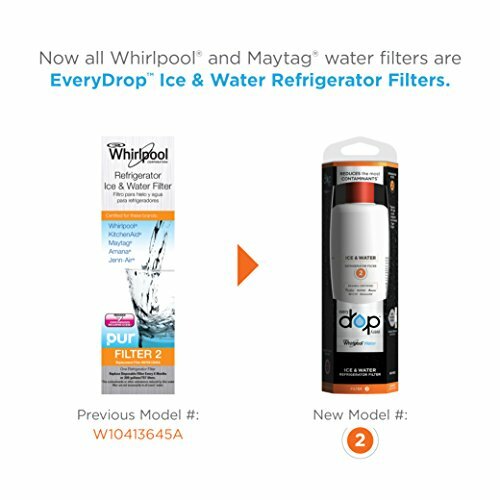 EveryDrop by Whirlpool Water Ice and Water filters are the only filters guaranteed to work in Whirlpool, Maytag, KitchenAid, Jenn-Air, and Amana refrigerators.